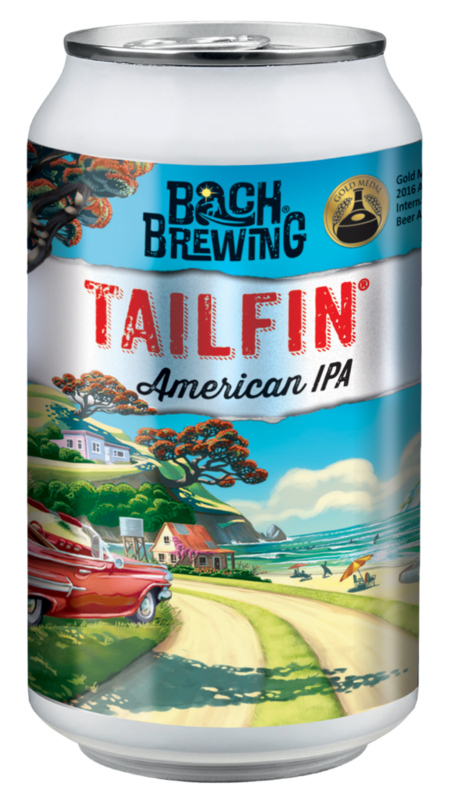 At the heart of Bach Brewing is our passion for craft beer and our love for the Kiwi Bach…escape, freedom, simplicity and time together with family and friends. 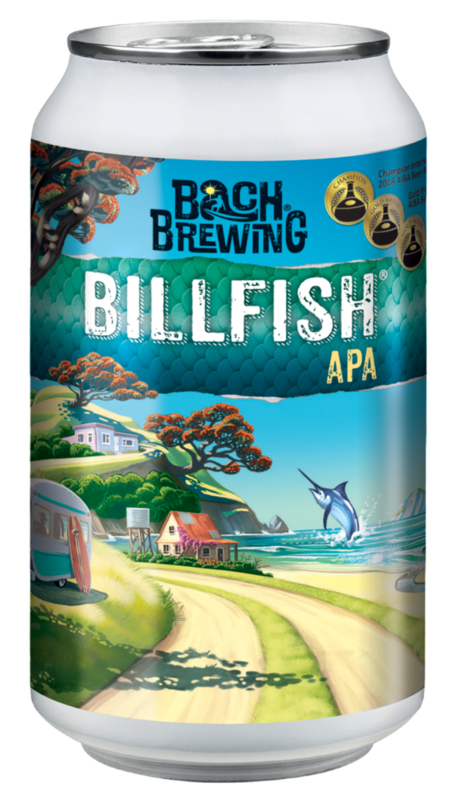 Bach Brewing is a family owned gypsy brewing company located between the shores of Auckland’s harbours. 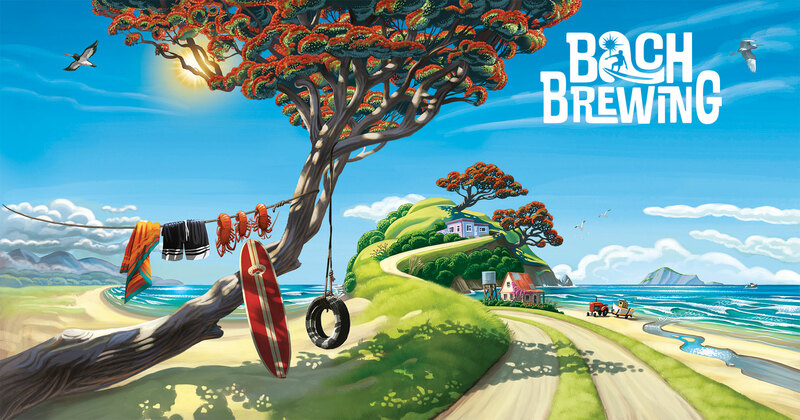 Our passion is brewing fresh aromatic beer that compliments our coastal way of living. 2018 Champion pale ale on both sides of the Tasman. With as many A’s as we can cram into it, featuring hops from America, Australia, Aotearoa and malts from Anglia (England). 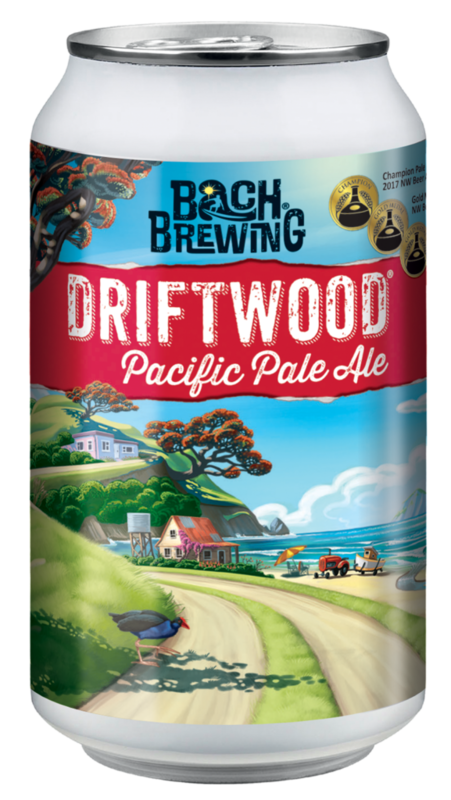 Champion pale ale and gold medal winner, Driftwood is a perfectly balanced Pacific Pale Ale featuring Nelson Riwaka hops and Canterbury’s Gladfield malts. New West Coast USA style IPA – bright, not hazy! Inspired by iconic IPA’s from the West Coast of the USA, think Big Daddy, Sculpin and Ruination. Inspired by a Cherry Ripe chocolate bar, but we dispensed with the coconut and made it more Jelly Tip with dark chocolate. A Marley is a contented laid-back surfer after a long, really good surf. A Champion wheat beer, Witsunday is a thirst quenching, hopped up Witbier. Inspired by our iconic NZ grown, Nelson Sauvin hops grown in Motueka and with characters reminiscent of our Sauvignon Blanc grape. 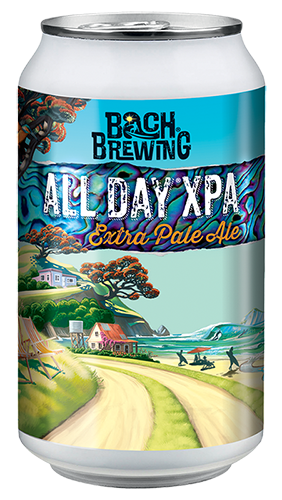 Inspired by the new Extra pale style, extra pale in colour and less malty to showcase the fruit and citrus aromas of the hops. Picking up the best of a pilsner and pale ale. Inspired by the pioneering angler, Zane Grey a 1920’s adventurer and writer of “Tales of the Angler’s Eldorado New Zealand”. Cramming as many A’s as we could into this, featuring hops from America, Australia, Aoteroa and malt from Anglia (England). Inspired by the stunning hops available from our local Nelson region and up north in Washington State, USA. We’ve combined hops from both ends of the Pacific rim. Inspired by especially high tides which occur when a full moon is also closest to the earth. They’re big and so is Kingtide. Our Kingtide is brewed using the magnificent Gladfield malts from Dunsandel, Cantebury. Loaded with a caravan full of hops from both ends of the Pacific rim; Yakima in Washington State, USA and Nelson, NZ. Inspired by the juicy and aroma bursting East Coast IPA’s. Cruising on a juicy base of Galdfield malts and using an All-American Dream Team of hops. Brewed using a Kolsch ale yeast for a clean and crisp beer and which cradles subtle hop characters of lime, stonefruit, tropical and gooseberry. We’ve also added Manuka honey to the kettle for hints of honey on the nose. 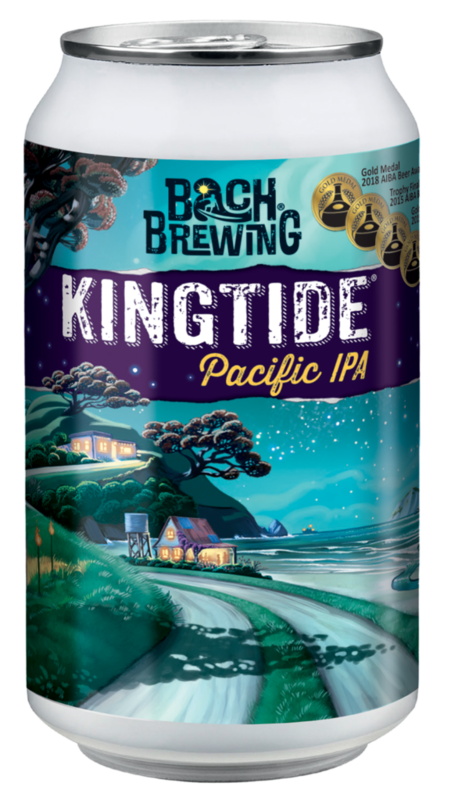 True to its pacific genre, Kingtide weaves a balance between the tropical fruit of the NZ hops and the citrus-pine of the US hops. At 7 percent, its sweet, mellow, with a broad pillowly mouthfeel. It delivers a multi-layered experience of floral, fruity and charmingly rugged bitterness. 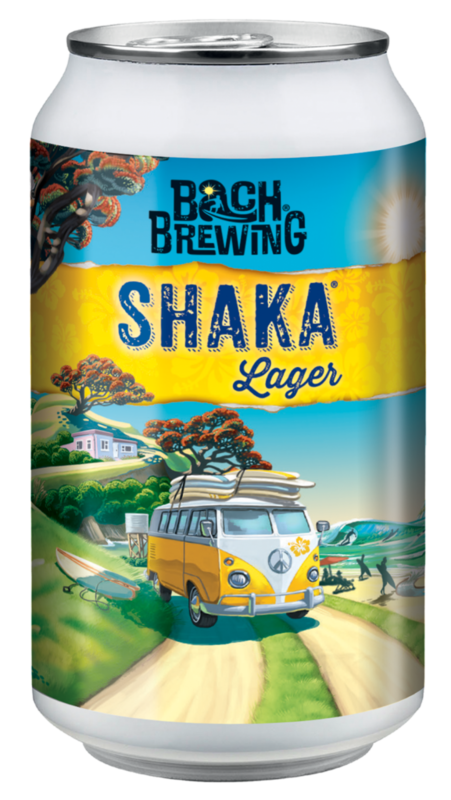 Everyone loves a big American IPA with big hop-forward aroma – tropical characters leap from the glass think of pineapple and passionfruit, with just a hint of fresh grass. The palate beautifully balanced with tropical stone fruit and an awesome persistent bitterness creating great length. Although slightly lower in alcohol than an IPA, this beer has good weight and great flavour, with juicy stonefruit and tropical notes and extremely refreshing. On the nose blend of tropical fruits including passionfruit, mango and lychee with a touch of citrus and pine. Mouthfeel medium bodied with honey and biscuit. Very balanced and clean finish. Brewed with extra pale barley malts and highly aromatic hops from New Zealand & USA (Riwaka, Wai-iti, Nelson Sauvin and Moasaic). Medium to light body letting the zesty, juicy hops shine. An ideal thirst quencher without being over powering. Brewed with juicy Maris Otter malts and loaded with the bag name hops; Centennial, US Cascade and Amarillo, with a touch of relatively new Idaho 7. Bursting with floral, citrus, fruit and pine aromas that flow through on the palate. Packed with rich chocolate malt flavours, toasty organic cacao and tart yet sweet berry fruit flavour. Brewed with Hawkes Bay cherries, raspberries and boysenberries to compliment the rich chocolate flavours in the brew. Perfect for winter, drink at room temperature and warm your soul. Dessert in a bottle. Witsunday is a thirst quenching, hopped up Witbier. A cloudy fusion of wheat and Pilsner malts, citrus hop aroma and esters of Belgian yeast, with a hint of lemon grass. Dark with rich head. Hint of brine and toasty malt, just a hint of crayfish flesh with clean hop bitterness. Fresh stone fruit, grapefruit and honeyed malt characters, this pale ale is an easy drinking pleasure.